As we know that Indonesia has a lot of tourist interests, from nature to the modern tourist object. Indonesia is also known for its historical sites that located most in Java Island. For example, there are Prambanan temples, Borobudur Temple, Mojopahit sites, Ratu Boko Temple and so on. One of the most exotic and popular for beauty hunter is Ratu Boko Temple. What is Ratu Boko Site? Ratu Boko is an archeological site in Prambanan, Indonesia. This site is located on a plateau, about three km south of Roro Jonggrang temple, Prambanan, Yogyakarta. Actually, there is still no information about the original name of the site, but the local people named it based on king boko legendary story that mentioned in Roro Jonggrang Folklore. Ratu Boko Site covers 16 hectares in two hamlets consist of Dawung and Sambirejo of the village of Bokoharjo and Prambanan, Sleman Regency. This site maybe was built on the era of king Sailendra of Mataram that also built temples scatters across the prambanan plain. This site often called as Palace or Keraton in Javanese. This site is located on the height of 196 m above the sea. 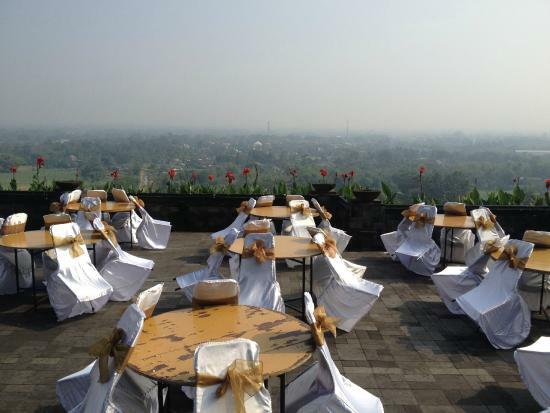 It has some parts, which the highest point of the area, there is a small pavilion that we can use to get the beautiful panoramic scenery of Mount merapi and prambanan temple. This is the first of three terraces that reached through the massive gateway built of two levels. The second terrace that separated with the first one by andesite wall is reached through a gateway in paduraksa form consisting of three doors. And the third terrace that also the largest which contains the richest concentrations of the archeological remains. This third terrace is separated from the second terrace by another talud and andesite wall. This site is literally white colored. It is a structure that made of white limestone on the north side of the first row of the gate on the second terrace. The pendopo is located on the second terrace on the southeast side of the plateau. This is a square stone enclosure surrounded with andesite stone wall. But unfortunately this structure is nearly damaged; only the stone bases still remain. 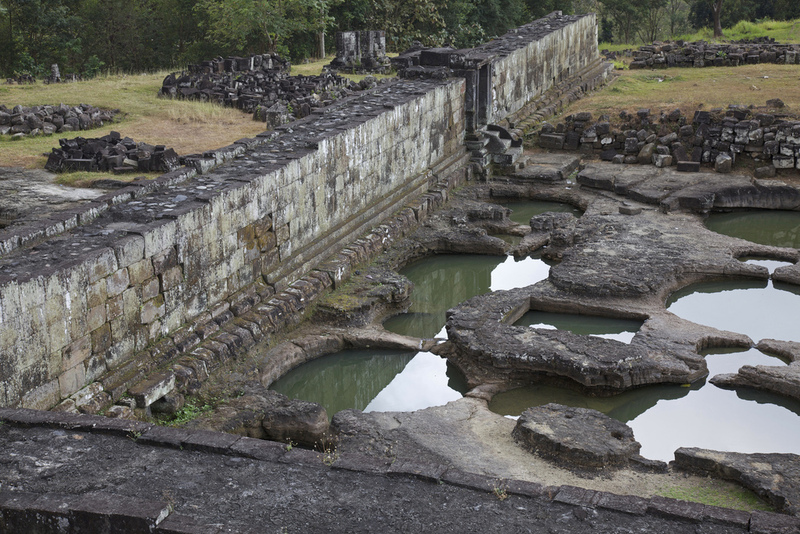 On the lower terrace of the eastern side of pendopo, there are several andesite stone walled enclosures with paduraksa and gallery leading to the several pools. This pool is the bath place that considered sacred for Hindu People that named “Amerts Mantana”. What to do In Ratu Boko? Since we already discussed and understood about the Ratu Boko Palace, we may want o visit this place. Here are the things we can do when visiting Ratu Boko. This place is a perfect place for you who love to explore a historical place. There is a lot of structure that you can learn about and the story behind the structure that linking to the local folklore. As we know that this place is located in a plateau, above the sea. This place has a natural view that combined with an archeological structure. Of course, a place like this would be a perfect place for taking the photo. This place is also a perfect place to watch and enjoy the beautiful view when the sun comes down. This place also becomes a romantic place for the couple. You may also enjoy wonderful scenery with a background of Mount Merapi and Borobudur temple from the highest point of this complex. This place is also offering a restaurant that will give you the local taste food to accompanying your trip in the Ratu Boko. We can know that the place offering some package based on the package that they offer. We may pay more to enjoy the sunset in this place. But I think it is worth because not every place giving you the vibe likes this place. If we look at the package that the place offered, of course, the tourist will need the hotel. But don’t worry they’re also much hotel that located near the Ratu Boko Palace. The tariff is also various, from hundreds of rupiahs to billions rupiah each night, based on the facilities that the place offer. You can go to this place by using a train that will stop in the Tugu Station of Yogyakarta. From this station, you may ride a taxi or just rent the car. Ratu Boko is 30 minutes drive from the Station. Or else, you can take the Transjogja Bus, take the lane 1A. take the bus until the bus arrives in Pasar Prambanan bus stop, then you may take the motorcycle taxi to ratu boko palace. You also can come to Yogyakarta by riding a plane. From the Adi sutjipto airport, you may take the care rent or taxi. You also can take the transjogja bus and take the lane 1A just like what you did when you start from the station. 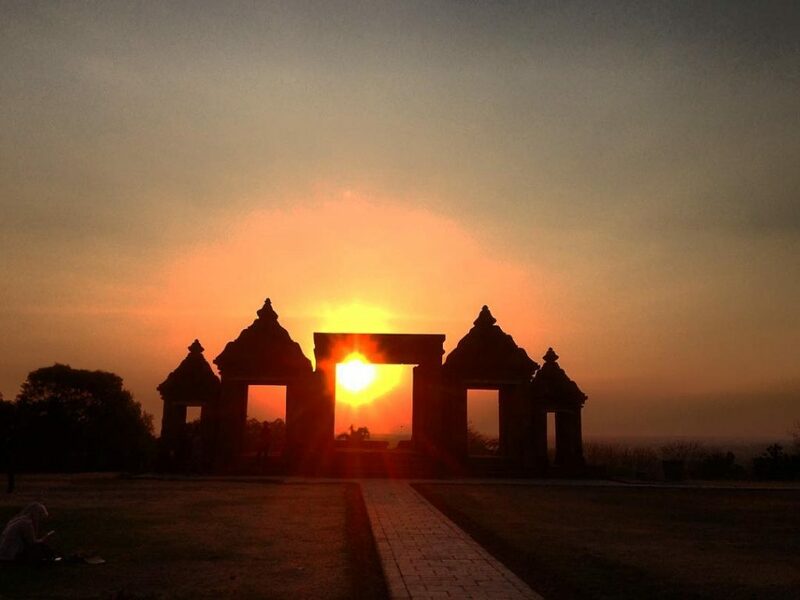 Ratu Boko can be accessed from the eastward from Jogja – Solo Street or the airport. You should go east until the Prambanan Market three-way intersections, then take the right road and continue to Prambanan – Piyungan Road. For about 3 km, you will see the sign to Ratu Boko Palace. That’s all about the Ratu Boko Palace, what to do and also the information about the ticketing and access way.